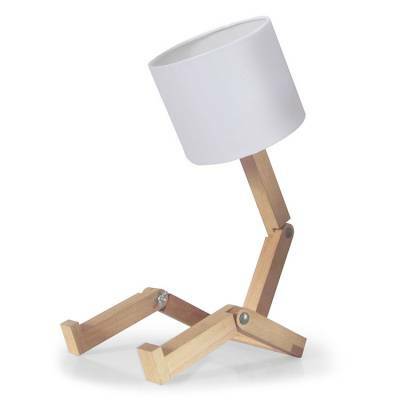 The quirky design of The Sitting Lamp by Graeme Bettles will instantly brighten up your kids room. Graeme Bettles is a talented local designer who left his career in advertising to explore his creativity in design and who is definitely making some very cool things to lust over. The Sitting Lamp can be ordered with the white lampshade only. The Sitting Lamp was exhibited at the 2012 Design Indaba and in 2014 took the title in the Décor and Design Category at Samsung’s Inspire Design Awards.